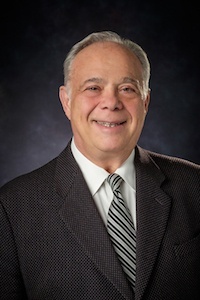 George Bellas, senior partner, has represented small business owners for over 40 years and has been involved in many complex lawsuits including class actions, mass torts and SUV rollover cases. In the field of business litigation, George has been recognized by other lawyers as one of the best. 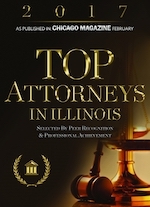 George has consistently been rated by other lawyers an Illinois Super Lawyer 14 times. George brings a high level of technological knowledge, skill, and intensity to complex cases on a national level and he utilizes this experience to serve the needs of his clients. George received one of the highest awards by the Association of Trial Lawyers of America (ATLA) for his work in rollover litigation which helped advance the public's knowledge of the risks from the Firestone tire and Ford Explorer recall. George has lectured nationally on the use of technology in litigation and has served as a panelist at The Sedona Conference. George currently serves on the 7th Circuit e-Discovery Committee and has lectured nationally on the use of e-discovery techniques to lawyers and judges. He has leveraged his knowledge of technology to develop effective techniques used in the discovery process and economize the litigation process. Certified Mediator for the 7th Circuit Electronic Discovery Voluntary E-Mediation program. Invited Speaker and Moderator for the Illinois State Bar Association (ISBA) Allerton Conference on " Hot Button Civil Evidence Issues." (April, 2011); Invited speaker (April, 2013), “ Technology and Trial Practice”; Invited panelist (April, 2015), “ The Future of the Practice of Law”, speaker and organizer (2017), "The Changing Landscape of Civil Practice"
Recognized by other lawyers as an Illinois Super Lawyer for 14 years. Recipient of the Association of Trial Lawyers of American, Steven Sharp Public Service Award for Public Education on the Ford Explorer recall (2001). Admitted to the Million Dollar Advocates Forum whose membership is limited to attorneys who have successfully tried or settled cases in excess of $1 Million. Recognized as a Summation "Litigator of the Month" for his work in setting up a database of documents relative to rollovers of Sport Utility Vehicles and featured in a story in the National Law Journal and in a Frontline story about defects with SUVs. Serves on the Seventh Circuit Electronic Discovery Pilot Program Committee which established in October, 2009 the "STATEMENT OF PURPOSE AND PREPARATION OF PRINCIPLES." "Lost Emails Lead to Sanctions" Illinois State Bar Association Trial Briefs, March 2019, vol. 65, no. 8. "Self-authentication of digital records: New Illinois Rule of Evidence 902(13)" Illinois State Bar Association Trial Briefs, December 2018, vol. 65, no. 5. "What is the valuation standard for valuation of a minority interest in an Illinois LLC?" Illinois State Bar Association Trial Briefs, October, vol 65, no. 4. "Self-Authentication of Electronic Evidence," Illinois State Bar Association Trial Briefs, September 2018, vol 65, no. 3. "Say Goodbye to Boilerplate Objections & Responses to Discovery Requests," Illinois State Bar Association Trial Briefs, May, 2017. "Possession Custody and Control under the Federal Rules of Civil Procedure and the Illinois Rules of Civil Procedure." Illinois State Bar Association, Trial Briefs, January 2017. "E-Signatures, Authentication and Contracts" presented at ABA Legal Tech 2016 on March 18, 2016. “The Amendments to the Federal Rules: E-Discovery is the Focus,” Illinois State Bar Association, Trial Briefs, vol 61, no. 6, January 2016. “A defamation action under Rule 224 is not afforded First Amendment protections so long as the “necessity” requirement is met” Illinois State Bar Association, Trial Briefs, vol 61, no. 3, October 2015. “The concept of ‘inherent power’ does not divest a circuit court of its jurisdiction – Comment regarding the Illinois Supreme Court case of LVNV Funding v. Matthen Trice,” Illinois State Bar Association, Trial Briefs, vol 60, no. 10, April 2015. "The Illinois Surpeme Court’s Adoption of the Tort of Intrusion by Seclusion," Southern Illinois University School of Law Journal, Vol 38, No. 4, Summer, 2014. "Why You Probably Can’t Subpoena Email from Google in Your Civil Case," llinois State Bar Association, Trial Briefs, November, 2014, vol. 60, no. 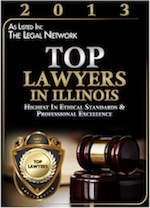 6; Illinois State Bar Association Bar Journal, January 2015 • Volume 103 • Number 1. "The Illinois duty to preserve ESI: A bridge over troubled waters," Illinois State Bar Association, Trial Briefs, vol. 58, no. 9, March 2013. Common-Law Doctrine trumps Fraudulent Transfer Act in holding decedent self-settlor to irrevocable pledge , Illinois State Bar Association, Trial Briefs, February 2013, Vol. 58, No. 8. "Jurisdiction of Illinois courts based on Internet content without Zippo", Illinois State Bar Association, Trial Briefs, July 2012, vol. 58, no. 1. "Jablonski v. Ford: Is the Illinois Supreme Court crafting a new approach to duty analysis and proof in negligent-product-design cases? ", Illinois State Bar Association, Trial Briefs, December 2011. "The Crashworthiness Concept", Northwest Suburban Bar Association Newsletter, June, 2011. "Production of Metadata: Recent Cases", Northwest Suburban Bar Association Newsletter, May, 2011. E-discovery update: Guidelines for Delaware Chancery Courts , Illinois State Bar Association, Legal Technology, April 2011, Vol. 18, No. 3. E-discovery issues in litigation , Illinois State Bar Association, Legal Technology, April 2011, Vol. 18, No. 3. "E-Discovery Issues in Litigation", NWSBA Newsbriefs, March, 2011. "Internet evidence: How to authenticate evidence from the Internet under the new Illinois Rules of Evidence. ", Illinois State Bar Association, Trial Briefs, January, 2011, Vol. 56, No. 6. "Electronic Discovery: Maneuvering the New Federal Rules", December, 2010. "Culling Data For Your Case." American Bar Association, Section of Litigation, Technology for the Litigation, Fall, 2010. "Fourth District discredits 30-year "legitimate business interest" test and ignores own ruling for restrictive covenants," Illinois State Bar Association Trial Briefs, January 2010, vol. 55, no. 5. "Taking a Page out of the Defense Bar's Playbook: Sharing Provisions in Protective Orders," Trial Journal, Illinois Trial Lawyers Association, Summer 2009. "Electronic Discovery: Wave Goodbye to Paper," Trial Journal, Illinois Trial Lawyers Association, Summer 2008. "A New Frontier: The Amended Rules of e-Discovery," Utah Trial Lawyers, December, 2006. "The New Frontier: The Amended Rules of e-Discovery," Trial Talk, Colorado Trial Lawyers Association, p. 13, December 2006. "Taking Your Case to Trial Using Litigation Support Software," Association of Trial Lawyers of America, Annual Meeting, 2006. "Using Electronic Discovery as a Weapon in an Auto Products Liability Case," Association of Trial Lawyers of America, Annual Meeting, 2006, Montreal, Canada. "Practical Uses of Portable Litigation Support," Trial Magazine, Association of Trial Lawyers of America, January, 2005. "Boost your case with litigation support software", Trial Magazine, Association of Trial Lawyers of America, p. 18, January 2005. "ESI and Evidence" presented to the Illinois State Bar Association Law Ed seminar, "Evidence: Founding Issues, Objections, and Effective Presentation to Maximize Proof," on May, 2018. "How to Survive E-Discovery" presented as a Quick Take for Illinois Lawyers. Invited Speaker, ISBA Allerton Conference (April, 2017), "The Changing Landscape of Civil Practice"
"E-Discovery: Technical Competence in a Changing Pretrial Paradigm," presented to the Kane County Bar Association, March, 2017. “Practice Pointers under the new Illinois Rules for E-Discovery,” ISBA CLE Program, April 18, 2015, East Moline, Illinois. “The New Illinois e-Discovery Rules”¸ November, 2014, Northwest Suburban Bar Association, CLE Program. “The New Illinois e-Discovery Rules”, Illinois State Bar Association Pro-Bono CLE Program, October, 2014. Invited Speaker, ISBA Allerton Conference (April, 2013), "Adaptions of New Technologies in Civil Case Processes." "Managing e-Discovery when Resources are Limited," presented by the ISBA Federal Civil Practice Section and Co-Sponsored by the 7th Circuit E-Discovery Pilot Program, Live Webcast, April 15, 2013. Invited Speaker for the Illinois State Bar Association Allerton Conference on "Adaptations of New Technologies to Civil Case Processes"(April, 2013). E-Discovery: Changing the Litigation Paradigm, Motions Involving Electronically Stored Data,” Illinois State Bar Association CLE Seminar, December 6, 2012. “E-Discovery under the Federal Rules, the 7th Circuit E-Discovery Pilot Project and the 7th Circuit E-Discovery Principles,” at the American Association of Justice Annual Meeting, July 31, 2012. “ E-Discovery Considerations for the Modern Practice, Illinois Supreme Court Rules and Federal Rules in Pretrial Discovery ,” Chicago Bar Association, Young Lawyer Section Corporate Practice Seminar, May 9, 2012. "E-Discovery in the 21st Century" to the Chicago Bar Association Tort Law Committee, February 2012. "E-Discovery: Pretrial Motions and Considerations" Illinois State Bar Association Motion Practice Seminar, November 9, 2011. "Changing the Pretrial Dynamic: The 7th Circuit E-Discovery Pilot Project and Its Effect on State Court Discovery Issues," Northwest Suburban Bar Associaion CLE Dinner Meeting, November 2, 2011. Invited speaker and moderator at the 2011 Illinois State Bar Association. The topic of the conference was "Hot Button Civil Evidence Issues." "E-Discovery: Changing the Pretrial Dynamic," Illinois State Bar Association Tort Law Committee Seminar, May 1, 2011. "E-Discovery: Changing the Litigation Paradigm" to the Advocates Society of Illinois in April, 2011. Illinois Trial Lawyers Association Webinar, "E-Discovery: Get in Step with the 21st Century," February, 2010. Midwest Association of Technical Accident Investigators ("MATAI") May, 2008, Sioux City, IA, "SUV's: Is Bigger Better?" "E-Discovery: The 7th Circuit Principles on E-Discovery," Webinar, September 2010 to a national group of attorneys who handle plaintiff's products liability claims. "Electronic Discovery in Auto Products Liability Cases" July, 2006 ATLA Annual Meeting. "Use of Trial Presentation Software" July, 2006 ATLA Annual Meeting. "The Ford Explorer: More Than Just the Tires," Association of Trial Lawyers of America, Annual Meeting, 2001, Montreal, Canada. Northwest Suburban Bar Association, "SUVs: Is Bigger Better?" February, 2005. ATLA Annual Meeting Presentation: "Use of Portable Technology in Litigation," July, 2004. Advocates' Society: "SUVs and Rollovers," January, 2004. Ohio Trial Lawyers Academy: "SUVs and Rollover," April, 2002. Products Liability Section, American Trial Lawyers Association Annual Meeting in July, 2001 in Montreal, Canada, "The Ford Explorer, More Than Just the Tires." Presenter, Apex CLE, "Electronic Discovery: Maneuvering the New Federal Rules," September, 2007. ApexCLE Presenter Biography. "Creative Uses of E-Discovery in Auto Products Liability Cases" to a national group of lawyers, October, 2010. "Not For Profit Hospitals" to the Illinois State Bar Association Health Law Committee, April, 2005. George is one of several lawyers from across the country who have filed suit against State Farm and related parties alleging a complex Racketeering Influenced and Corrupt Organizations Act ("RICO" case) regarding an alleged scheme to pour campaign contributions into a campaign to elect an Illinois Supreme Court justice to influence the reversal of a $1.05 billion court decision then pending before the Illinois Supreme Court. The RICO scheme alleged that the State Farm and the defendants orchestrated a "dark money" network of campaign contributions to the Judge's Committee and then misled the Illinois Supreme Court about its sizeable involvement in "dark money" contributions to the judge's campaign. The class action was certified as a class action and the case was set for trial in September 2018 in federal district court in East St. Louis, Illinois. On September 4 - after a jury had been impaneled - the case settled for $250 million. Information about the case and eligibility to participate in the settlement is available on the Class Notice Website. George successfully defended an appeal by a majority shareholder of Exelon Enterprises Company who sought to dismiss a lawsuit filed by minority shareholders alleging breach of fiduciary duties in connection with the corporation's merger. Carpenter v. Exelon Enterprises Company and Exelon Corporation, 399 Ill.App. 330 (1st Dist. 2010). George prosecuted claims against a multi-national corporation in the United States District Court in Chicago on behalf of a Brazilian business owner. The claims involved breaches of a joint venture and distributorship agreement. The cases recently settled with the terms subject to a confidentiality agreement. George filed a lawsuit against the U.S. Food & Drug Administration challenging the regulatory framework that prevents the importation of prescription drugs from Canada. The suit was based on the theory that the law violates individual consumer’s rights to purchase drugs from a source of their own choosing. In the case of Breneisen v. Motorola, the 7th Circuit Court of Appeals (Case No. 05-2032, 1/15/08), held that the District Court erred in granting defendant-employer's motion for summary judgment in an FMLA action which alleged that Motorola had penalized plaintiff by placing him into inferior job in punishment for taking FMLA leave. Motorola conceded that plaintiff was not restored to same position when he returned from leave of absence, and although plaintiff received same pay and benefits in new position, plaintiff presented evidence that new position had less prestige and different responsibilities. The case was remanded to the District Court in Rockford for trial on the FMLA claim. George has been involved in numerous cases involving rollovers of the Ford Explorer. In one of the largest cases, George and Clifford Law Offices obtained $22.5 million in a settlement of a case involving the rollover of a 1992 Ford Explorer which left two teenagers dead and another rendered a quadriplegic. The settlement was reached against Ford Motor Company, a Ford dealership and a tire retailer. It was alleged that the Ford Explorer had design defects that rendered it inherently unstable and that Ford's own testing showed that the Explorer was prone to roll over with only minimal variations in tire size, type and air pressure. George recently engineered an unprecedented settlement of a class action case against a large hospital system in Cook County for over charging uninsured patients. This was one of a series of lawsuits filed against not-for-profit hospitals. The history behind this litigation was featured in the documentary "Do No Harm." George recently completed a complicated trial in the Circuit Court of Cook County which resulted in a judgment of $1.8 million against several prominent Chicago commercial real estate brokers for misrepresentations arising out of the purchase and sale of a large parcel of property along the north branch of the Chicago River. The brokers were charged with self-dealing and failing to advise their client of the fact that they were trying to purchase the property for themselves while representing George's client in the transaction. George successfully defended an Illinois not-for-profit corporation beauty pageant sponsor which was sued in U.S. District Court in Connecticut for an alleged trademark infringement. The decision of the District Court was upheld by the Second Circuit Court of Appeals in a summary order. George filed one of the first lawsuits in the contaminated Pet Food cases which eventually resulted in a nationwide class action settlement. Parish Council, Saint Nectarios Greek Orthodox Church, 2002 thru 2007. Admitted Pro Hac Vice in Indiana, Wisconsin, Connecticut, Washington DC, Ohio, New York, Arizona, South Carolina, Texas and Second Circuit Court of Appeals.